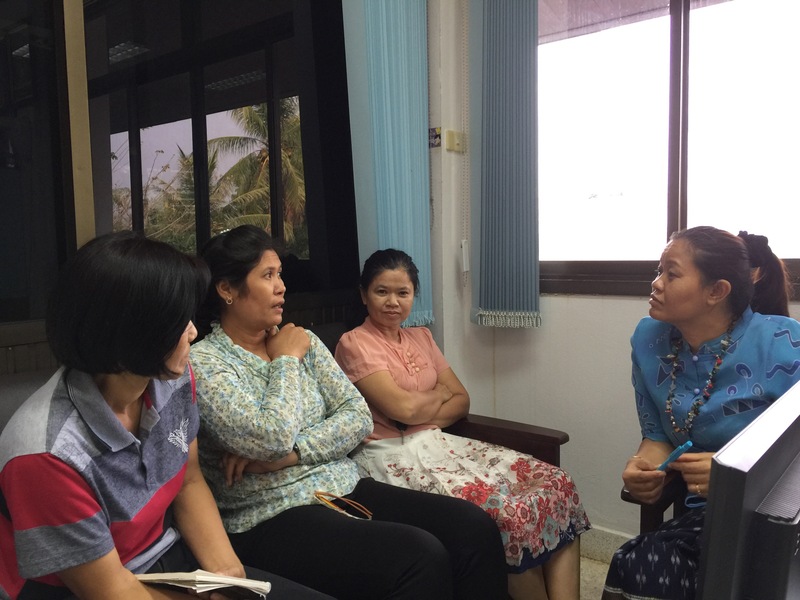 We have interviewed 4 13-year old students, who have moved from Huana School to Obodjo School. On a scale from 1 to 10, where 1 is very, very poor and 10 is excellent, Obodjo got 10 and Huana 1. The great thing is that now we know WHY, which should help us in trying to develop Huana School. As said before, not an easy task. 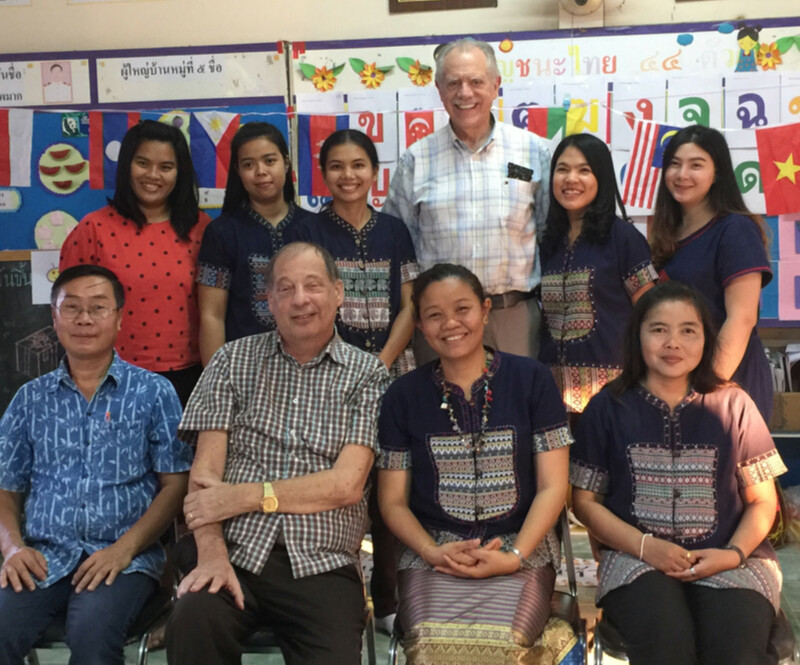 Mr. Sarawut is the founder and leader of the Obodjo School in Chiang Rai.The School is one of the three most advanced schools in Thailand. 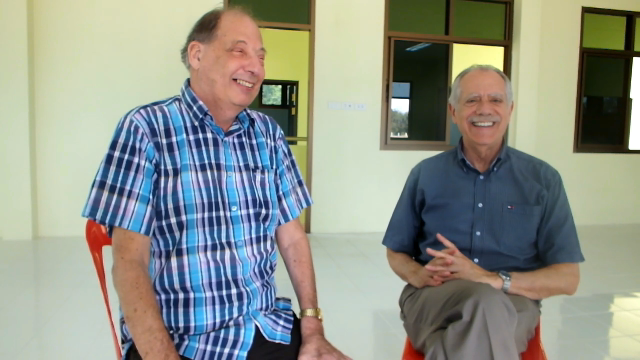 Mr. Sarawut had the task to build a new school for Obodjo in Chiang Rai 12 years ago. As an extremely clever person, he has expanded the school from 430 students to over 3.000 students. With the new technology, he believes his school can serve up to 30.000 students in future. 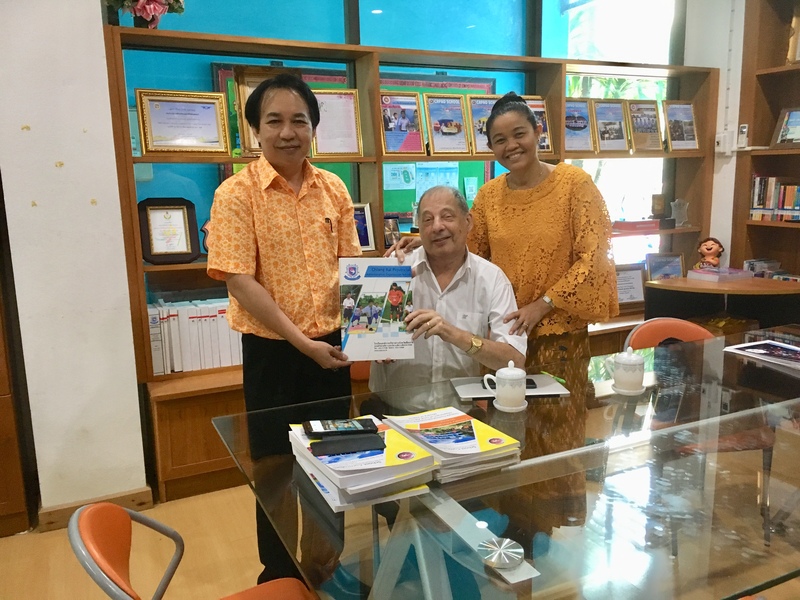 Mr. Sarawut is ready to assist in developing our own Obodjo School in Phetchabun. "We are like sister and brother, why not", he says. 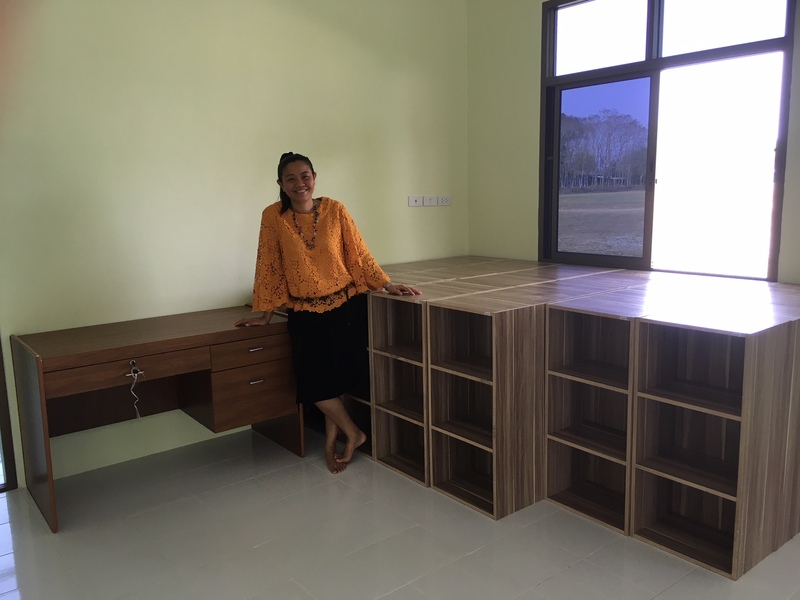 Huana School is having a library, that no-one is using. 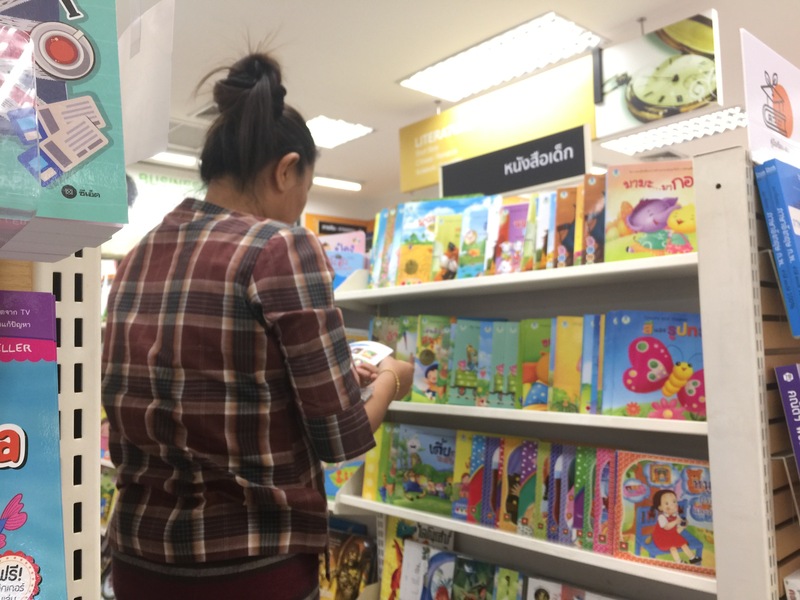 Thai people are not used to read books. One great feature in our new HighScope Kindergarten is, that every child borrows daily a book back home, and brings it back next morning. This is how we try to teach a habit to read books. As we have right now 60 children in Kindergarten, Jo baught 60 books to start with. Several people in Bangkok have promised to send us more books. 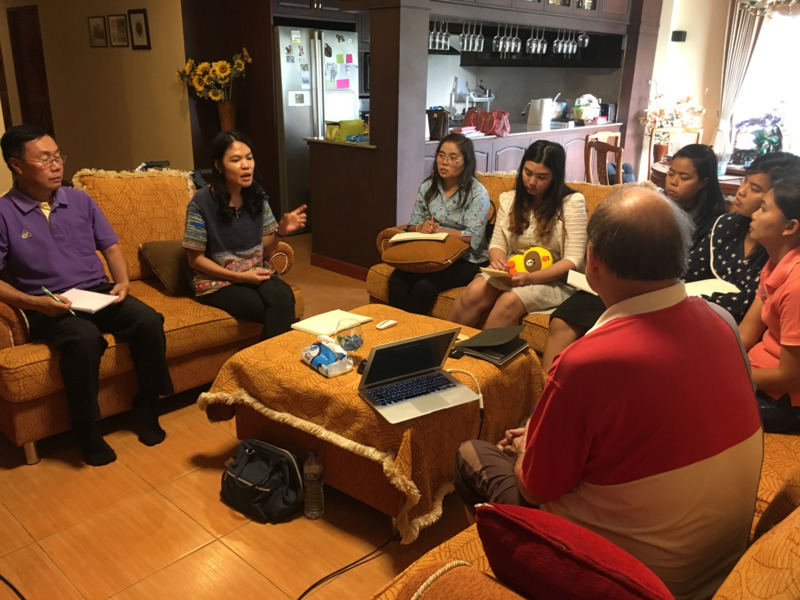 Top Thai educators came to Phetchabun to teach, how young children should should be raised by parents and grandparents. Our Jo, Ja-oh and Canoon (in the middle) were participating and praising the seminar as outstanding. Excellent material for our Parent School. Today it finally happened; Our own unique HighScope Kindergarten was opened. In picture one of the five corners, the Block corner. The others are Science, Kitchen, Art and Readers corner. 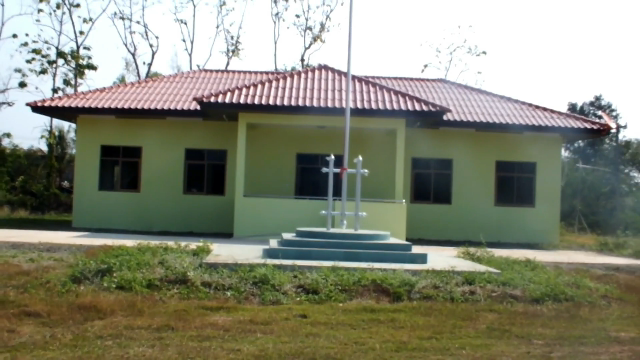 It is said that this is the quality of an International School, and provided for poor countryside kids for free. We work with over 60 kids and 6 teachers. 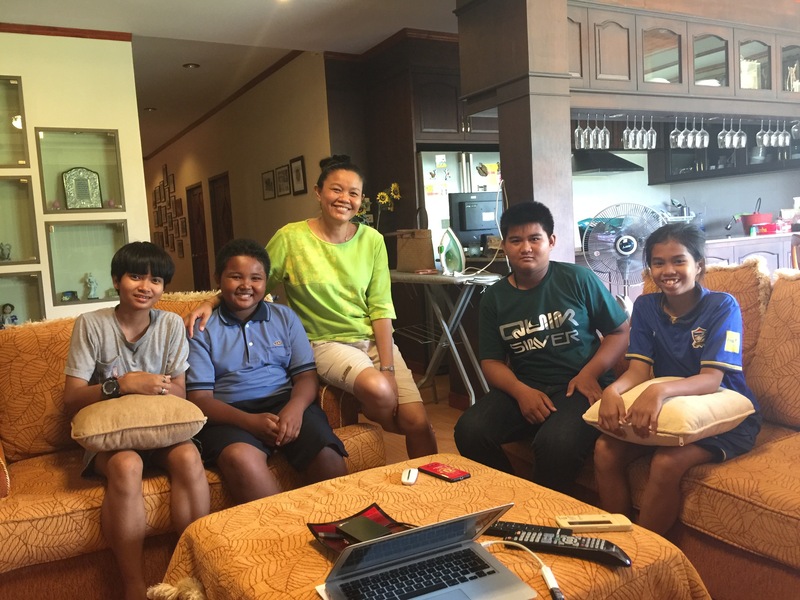 We had an interesting meeting with Mr. Nukul representing the Genius School in Thailand. If we are unable to modernice the teaching in Huana School, Genius School concept could be an alternative. In the concept, the "teachers" become coaches. Very interesting. Next meeting will be the 22nd of April. HighScope concept needs a lot of furniture and toys. We only have 13% of the needed equipment, so a lot have to be bought. Today we received the first furnitures and soon the rest. Opening the 15.3. A proud Jo in the picture. The 15.3 we will move to our new Kindergarten building, were we will implement the "amazing" HighScope concept (see video on our Home page). 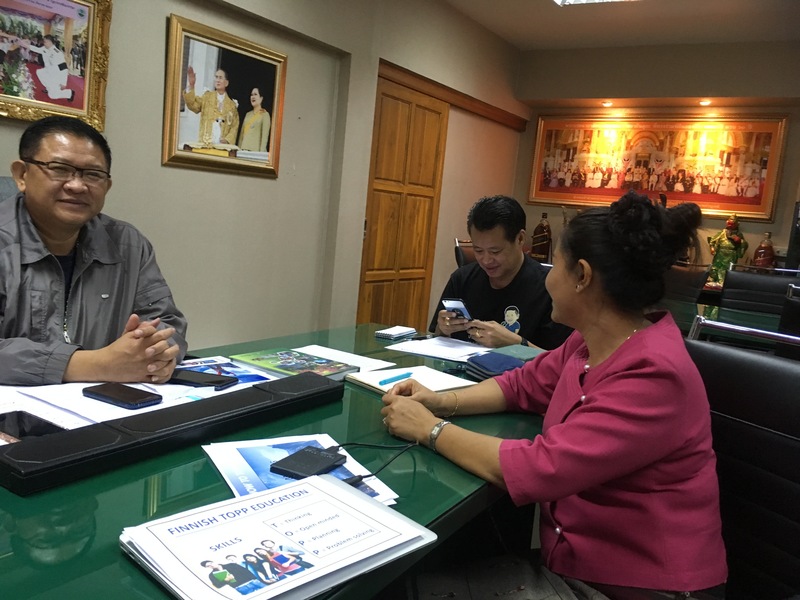 Mr. Doj, "owner" of the 800 -student Obodjo School, agrees to start a Program to bring Finnish education know-how to his School to make it the leading school in the Phetchabun Province. The School represents the third face in the Z2H Program; children from 12 to 18 years old. We start the co-operation by interviewing students, teachers, parents and Management. 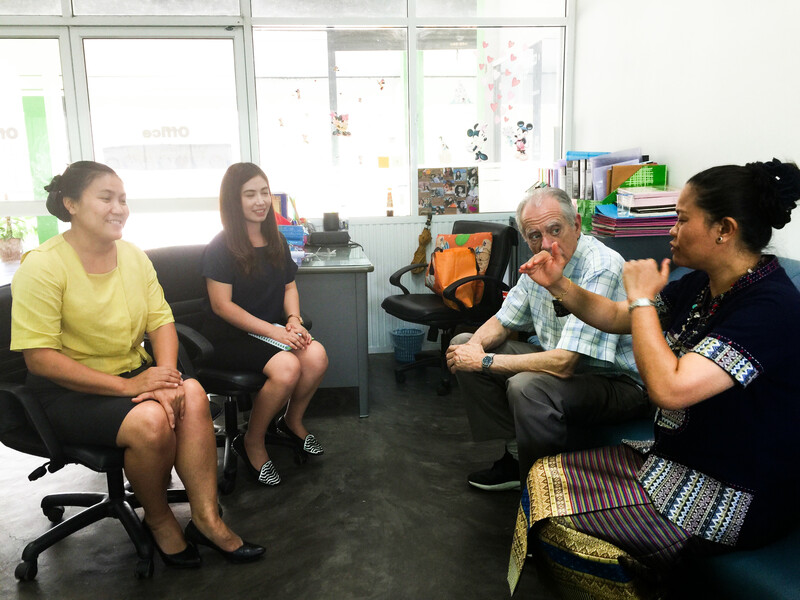 Mr. Doj is one of the leading figures in education in Phetchabun and will thus be a key to help us to succeed to build HEROs. A planning meeting, how to implement HighScope to our Kindergarten. A better Team cannot be found. Proud of it. HighScope Kindergarten will be done in one big room. Our 60 children aged 2 to 4 are divided in three groups. 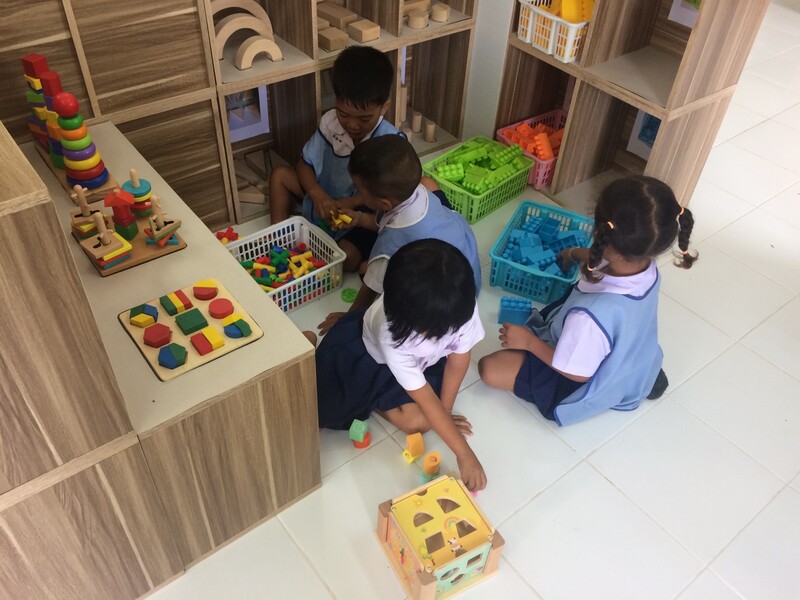 Each group have 2 teachers and 5 corners; one for Home (kitchen), one for Blocks, one for Arts, one for Books and for Science. We have a big list of thingss we must buy to secure effective teaching. Out of the needed items we only have 13%. Shocking! 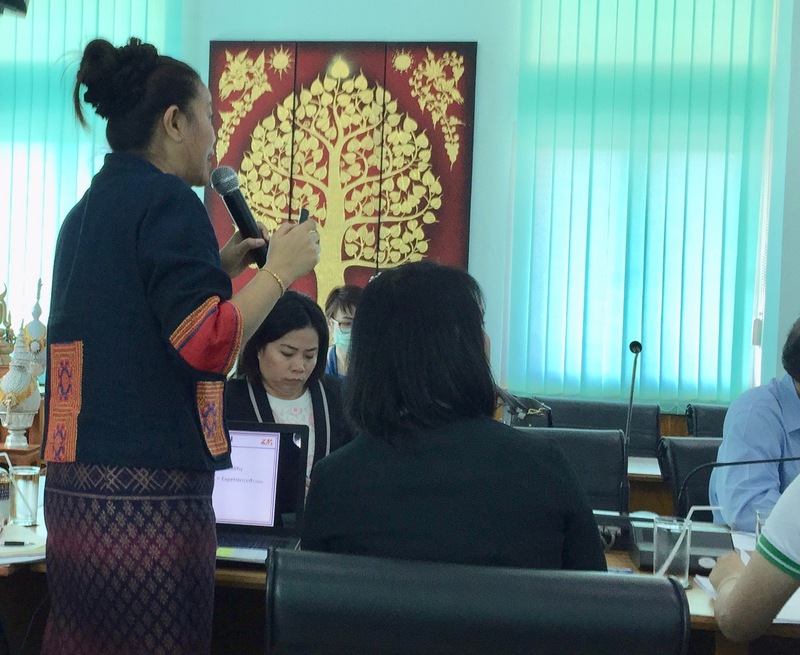 Now starts the big "fight" to get the Local Administration to pay at least a part of the investments, as the Kindergarten officially is under them. But so far so good. We were invited to tell how we see that Zero-to-Hero Program has effected children's health and what kind of support we hope for in future. Among many clear improvements the biggest has been that the amount of so called LD -children have dropped during our Program from over 30% to under 15%. Our target is to come under 3% within the next five years. Most of the participants wanted to come and visit us in order to learn more. They said;"Finally someone who's doing and not just talking." 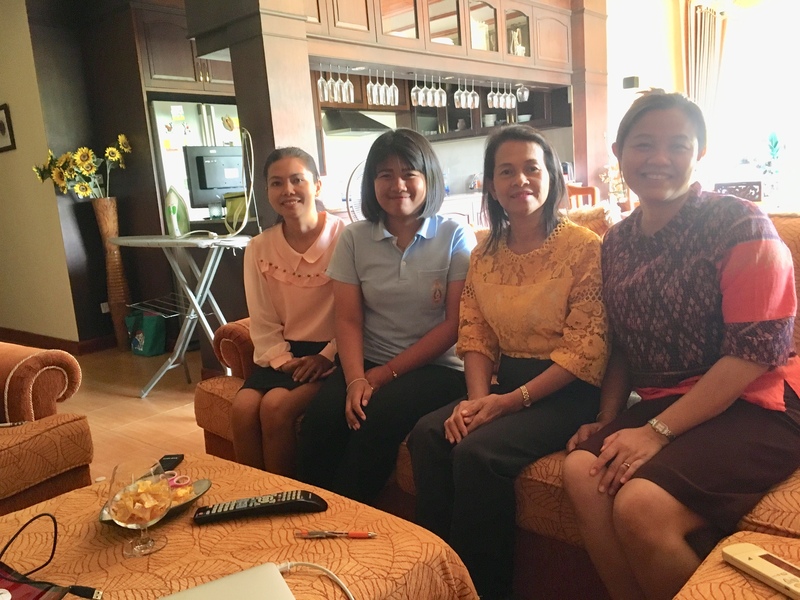 We have been invited to bring the Finnish education system to one of the leading Secondary Schols in Phetchabun Province. Jo and John are negotiating about how to get started with the huge challenge. 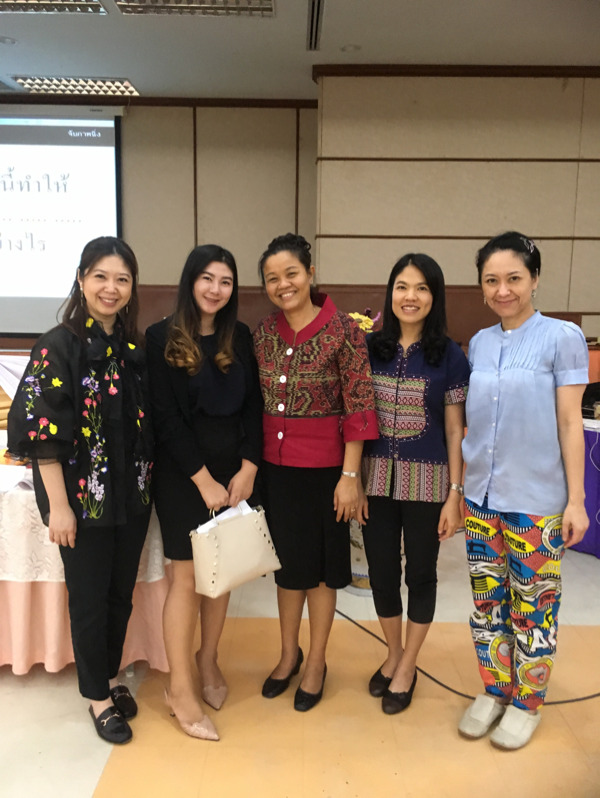 Phetchabun University is among other things educating yearly over 300 new kindergarten teachers. 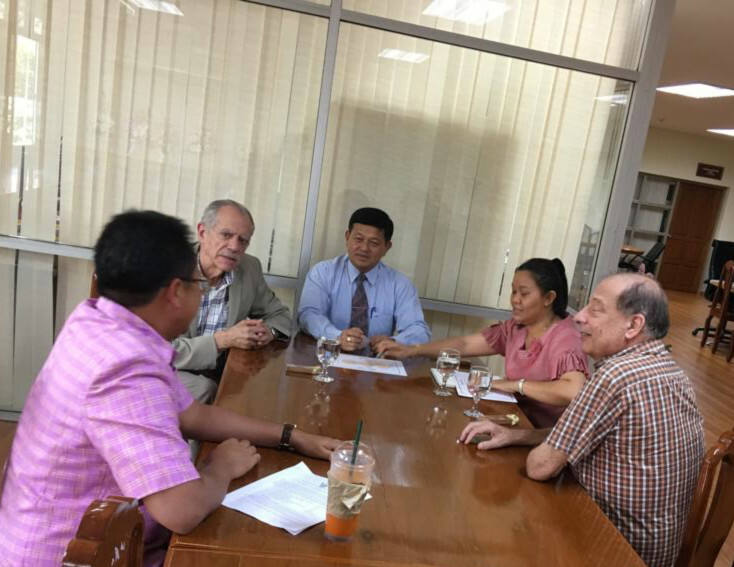 Here Jo, John and me are negotiating with the President and Vice-President to sign MOU (Memorandum of Understanding) between the University and Zero-to-Hero Foundation. The plan is to implement our 0 to 6 -Program to University. This would be the most effective way to spread our unique model to a lot of kindergartens in Thailand. The University would also be involved in measuring how "our" children are developing in comparison to a control group. On the below video Ja-oh is teaching the Baby Club children about colors and about the skill to wait for one's turn.